Upon visiting our printing facilities, you will see the utmost state-of-the-art machinery and technology in the industry. Our capabilities match or exceed virtually every printing company across the region. We have created pieces for captains of industry and for the creative class. We have helped launch new business ventures and helped companies with a century of tradition find a modern voice. We have changed with the times, and have been a catalyst for remarkable change during our time. What has remained constant, however, is the minds, hearts, imaginations and energy that come to work every day passionate about finding a better way—a more engaging way—to bring your story to life. OUR HISTORY IN BLACK AND WHITE. AND COLOR. Norman and Mary Madsen launched our company in 1959 in Hollywood, Florida, under the name The Rapid Rater. The Rapid Rater was a manual used by the independent Insurance agent in 32 states to help sell insurance. In 1983 the company, now known as Rapid Press, moved to Tallahassee to serve the Florida Association of Insurance Agencies. We built a 10,000-square-foot facility directly behind FAIA, in the new Killearn neighborhood. In 1990, Hank Madsen foresaw that the dawning computer age meant the Rapid Rater manual would become obsolete. Two years later, he’d successfully transformed Rapid Press into a multi-faceted printing leader, with three new state-of-the-art presses: a 4-color; 2-color; and 1-color Omni Adast, and we quickly became the company to trust for commercial printing across the region. In 1999, with growth on the horizon, Hank purchased the first press with an environmentally safe Aqueous Coater for sealing inks in-line. At the same time, we added mailing capabilities. That year, we began running three eight-hour shifts and revenues grew from a $2 million to $4.5 million in the next ten years. In 2009 the digital age was squarely upon us. We purchased our first digital press, eventually adding two more. 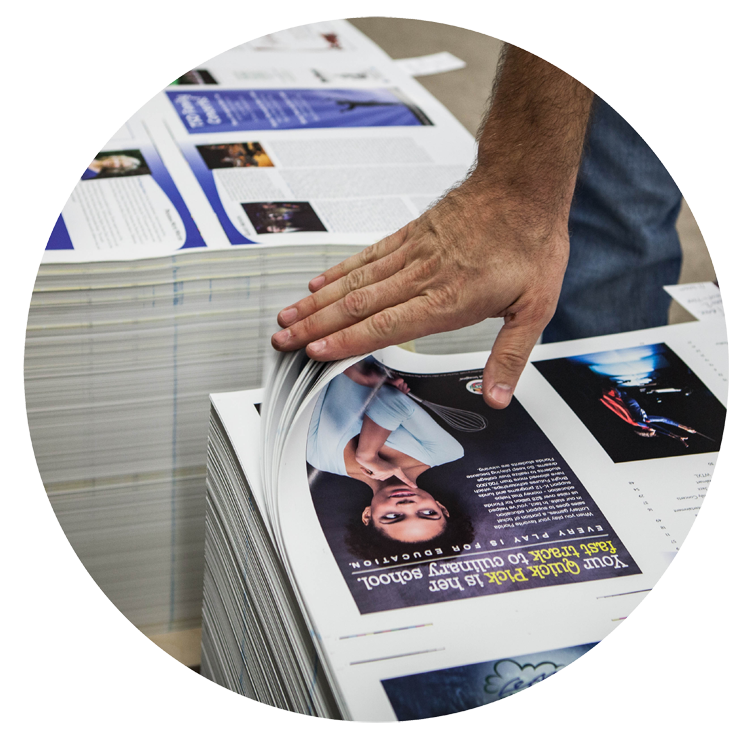 Digital printing is a large part of our business today, but we also offer a full-size press to efficiently produce magazines and other traditional pieces. Over the past sixty years, through economic ups and downs, and revolutions in technology, Rapid Press has remained true to the values we believed in when we started: A focus on quality. A focus on efficiency and speed. A focus on customer service. Wherever the next sixty years takes us, those values will still be what drive us to offer the best in category for our customers and our company.